Vikings is an Scandinavian Buffet or what they call “Viking Buffet” where they serve a wide array of international cuisine. 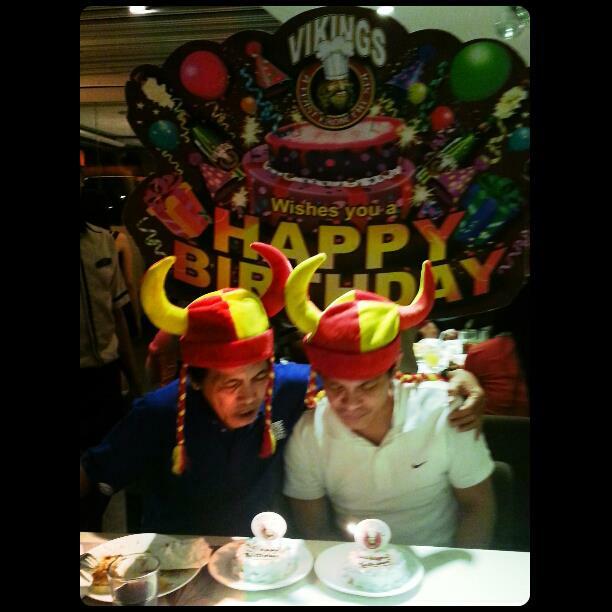 My husband and father-in-law celebrated their birthday at Vikings by the Bay SM Mall of Asia. Here are the perks of celebrating your birthday with them! 1. 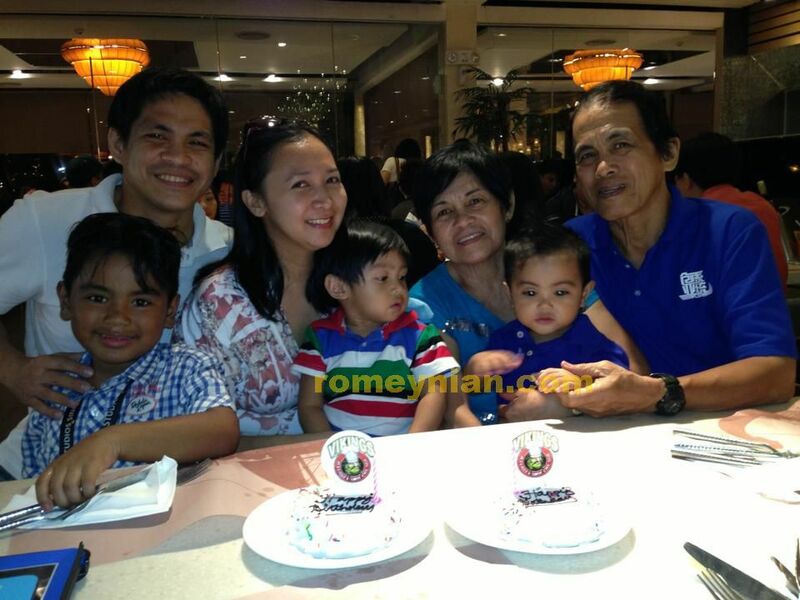 The birthday celebrant gets their buffet for FREE! note: Bring a valid ID with birthdate. 2. They give mini CAKE with candle which you can take home! 3. The Vikings crew will SING you a happy birthday! Isn’t it great that Vikings gives you these kind of birthday treat! Two more things we love about Vikings is that their standard drinks (juice, tea, softdrinks, milk, beer) are for free and unlimited, and children below 3ft gets to eat and drink for free! To sum it up: We are all HAPPY and so is our tummy! Thank you VIKINGS for the birthday treat!